The six-pack who launched the Breakthrough Prize—Google co-founder Sergey Brin and his wife 23&Me co-founder Anne Wojcicki; Facebook CEO Mark Zuckerberg and his wife Pricilla Chan; Apple chairman Art Levinson; and Russian venture capitalist Yuri Milner—want to signal to society that science is exciting, inspiring, and respected. 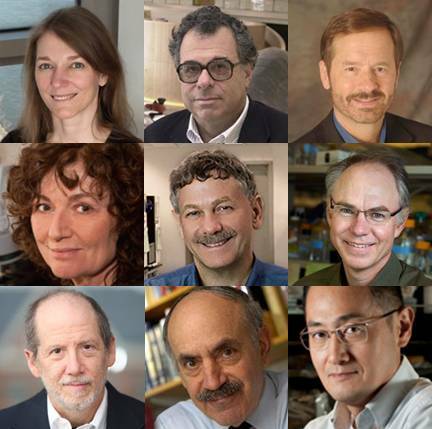 They want the public to appreciate those who have done so much to advance medicine. Cornelia I. Bargmann (Rockefeller University) used a 1 millimeter long transparent worm with just 302 neurons to explore how genes and the environment converge to trigger behavior. David Botstein (Princeton University) developed novel methods for pinpointing disease genes by following the inheritance pattern of specific disease-linked DNA markers. He’s now trying to model all the gene activity in a single cell when it is exposed to various stimuli—like a certain nutrient. Lewis C. Cantley (Weill Cornell Medical College) discovered that many cancers arise when the phosphoinositide 3-kinase (PI3K) pathway is disrupted. He continues to explore the role of the PI3K enzyme in breast, ovarian, and endometrial cancer, and also in diabetes. Titia de Lange (Rockefeller University) was recognized for her work on telomeres, the protective sequences at the ends of our chromosomes. She continues to explore how loss of these structures lead to cancer and aging. Eric S. Lander (Broad Institute of Harvard and the Massachusetts Institute of Technology) was a leader in mapping the mouse and human genomes (and many others) and he has developed many of the tools to identify disease genes in cancer and other conditions. Charles L. Sawyers (Memorial Sloan Kettering Cancer Center) has focused on signaling pathways that drive the growth and proliferation of cancer cells—including how they become drug resistant. In particular, he focuses on developing treatments for chronic myelogenous leukemia (CML), brain, and prostate cancers. Bert Vogelstein (Johns Hopkins University) discovered a gene that suppresses tumor formation but is inactivated in colon cancer (as well as most cancers). He’s developed models of cancer initiation and progression. These findings are being used to develop diagnostic tests for colon cancer risk. Robert A. Weinberg (Whitehead Institute) discovered the first ‘oncogene,’ which is a gene that has ‘gone rogue’ after a mutation and then drives tumor growth. Today he continues his study of cancers and how they metastasize. Shinya Yamanaka (Kyoto University and the Gladstone Institutes in San Francisco) won a Nobel Prize last year for figuring out how to reprogram adult skin cells and transform them into “induced pluripotent stem (iPS) cells,” which behave like embryonic stem cells.